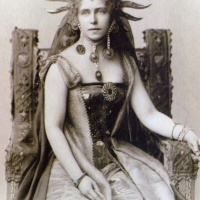 As a legacy for generations to come and an ongoing effort to promote the most important bridge-personality between Romania and the UK, the Romanian Cultural Institute, on behalf of the Romanian Government, unveils in Ashford, Kent, a statue of the exceptional Princess Marie of Edinburgh, Queen Marie of Romania (29 October 1875 – 18 July 1938). The monument will be erected in Ashford, as Queen Marie was born in Eastwell Park, a former stately home in the immediate vicinity of the town. Following a public contest in Romania, the statue is created in bronze by young sculptor Valentin Duicu, a graduate of the National University of Arts Bucharest. This project was made possible through the joint effort of the Romanian Cultural Institute, with a grant by the Government’s Centenary Funding Scheme, and the Ashford Borough Council. The statue will be unveiled in a ceremony at Elwick Place, Ashford, on 12 December 2018, and it represents the highlight of the Romanian Cultural Institute’s programme dedicated to the Great Union Centenary in the UK. The future Queen was born on the 19th of October 1875 at her family estate in Kent, as the daughter of Alfred Ernest Albert de Saxe-Coburg and Gotha, Duke of Edinburgh and Queen Victoria’s second son. 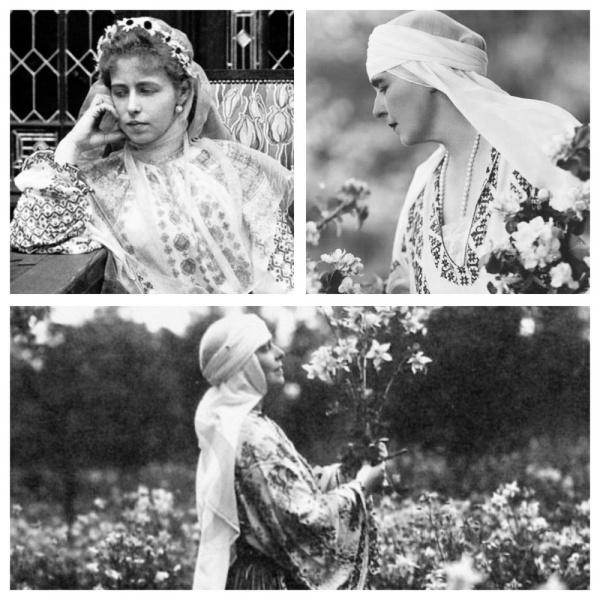 Her mother, Maria Alexandrovna Romanova, Grand Duchess of Russia, was the only surviving daughter of Tsar Alexander II and Maria Alexandrovna of Hesse. On the 15th of December 1875, in the presence of her royal grandmother, Marie was baptised in the Anglican Church at Windsor Castle. 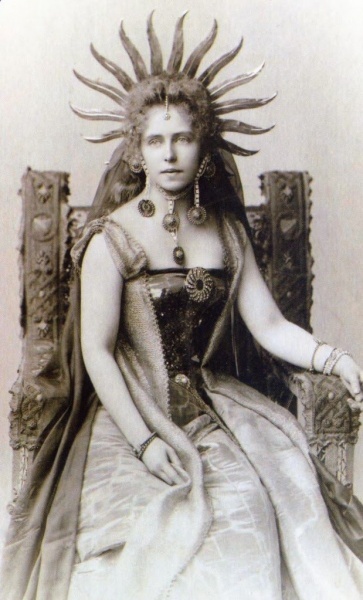 In 1889, after three years spent in Malta, Marie’s father became the Duke of Saxe-Coburg and Gotha and moved with his entire family to Coburg. A projected marriage between Marie and her cousin, George of York, the future George V, encouraged by Queen Victoria and supported by their fathers, the Duke of Edinburgh and the Prince of Wales, failed because of the opposition of the young heirs’ mothers, the Duchess of Edinburgh and the Duchess of Wales. Instead, on the 10th of January 1893 at Sigmaringen, after a brief engagement, Marie married Ferdinand of Hohenzollern-Sigmaringen, the heir to the Romanian throne. In 1914, after the death of King Carol I, Ferdinand and Marie became Romania’s monarchs. In the summer of 1916, Romania entered the First World War as part of the Entente. 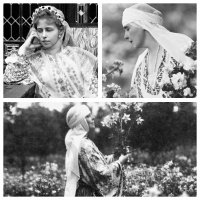 From the first day of the war, Queen Marie undertook an active role that would soon transform her into a role model. 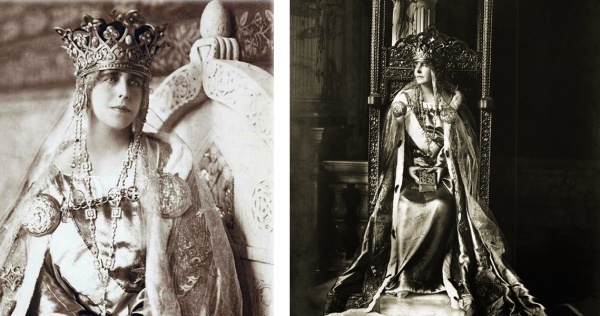 Beautiful, full of wit and intelligent, cultivated and possessing a strong personality, the queen caught the imagination of her contemporaries, Romanian and foreign alike. The Queen devoted all her indefatigable energy to the war effort. She tirelessly visited the camp hospitals, set up relief schemes, managed the medical support, attended military and civilian ceremonies, raised money for the wounded, the war prisoners and the widows, and kept the British and French allies closer. 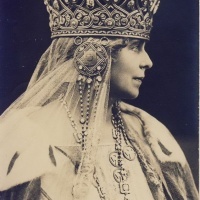 She later became a central character at the Paris Peace Conference, which recognized the unification of all Romanian provinces in one, democratic state, where the Queen used her brilliant diplomatic skills and her vast array of connections to secure a favourable outcome. “From My Heart to Theirs”, an article published during the war, summoned an entire way of life, dominated by the unconditional love for her adoptive country. And her Romanian subjects reciprocated with equal passion. 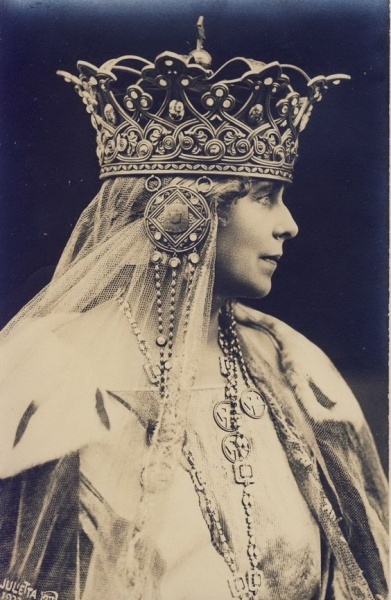 After her son, King Carol II, succeeded to the throne of Romania in 1930, Queen Marie’s role in the public realm slowly faded although her popularity at home and abroad remained very high. Endowed with a great artistic flair, she devoted her time to writing, architecture design as well as various social and cultural causes, which made her one of the most admired royalties of her time. She died at the 18th of July 1938 at Pelișor, Sinaia, her beloved mountain retreat, built under her guidance.